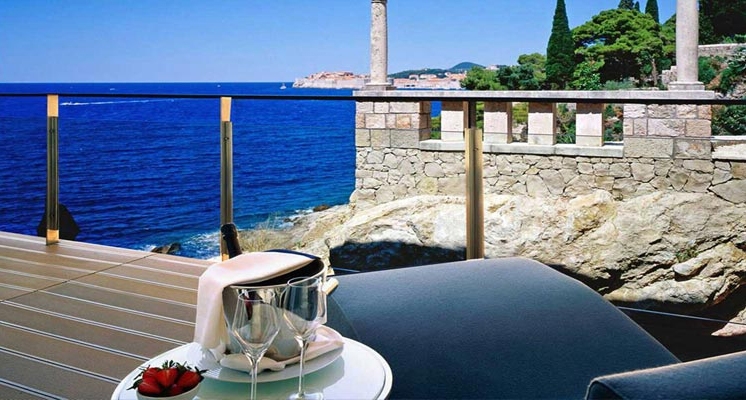 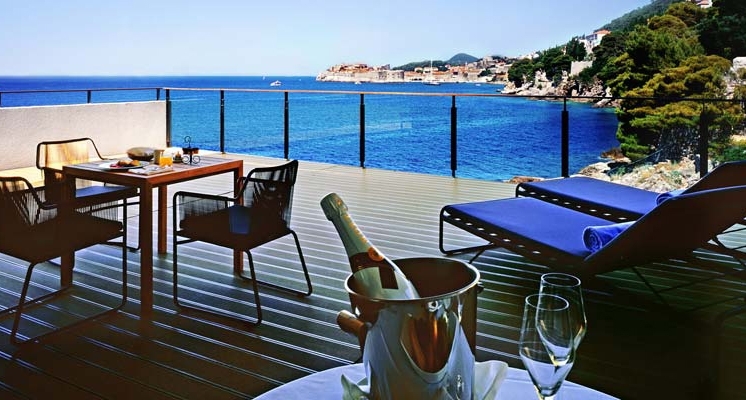 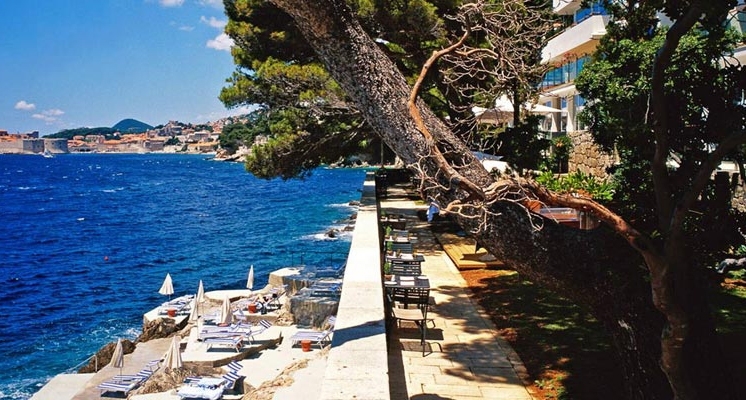 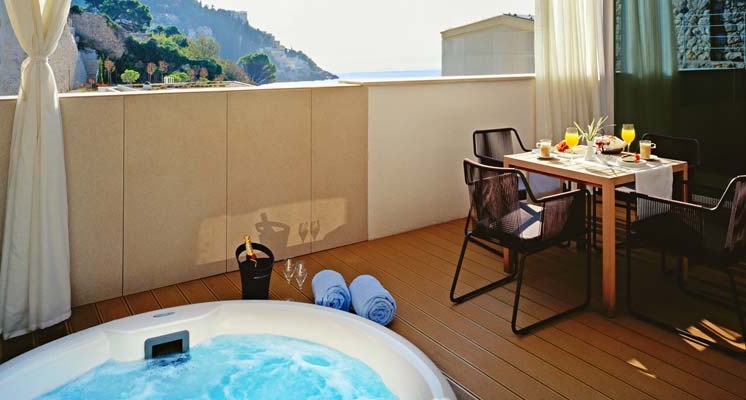 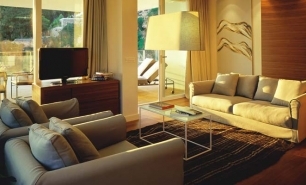 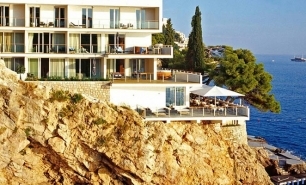 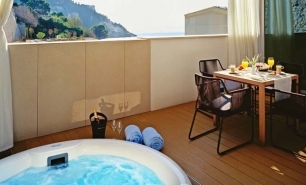 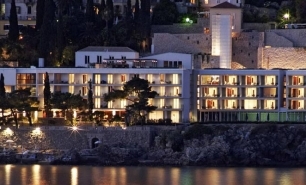 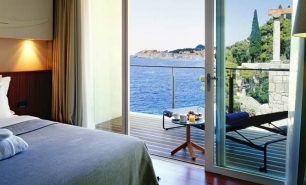 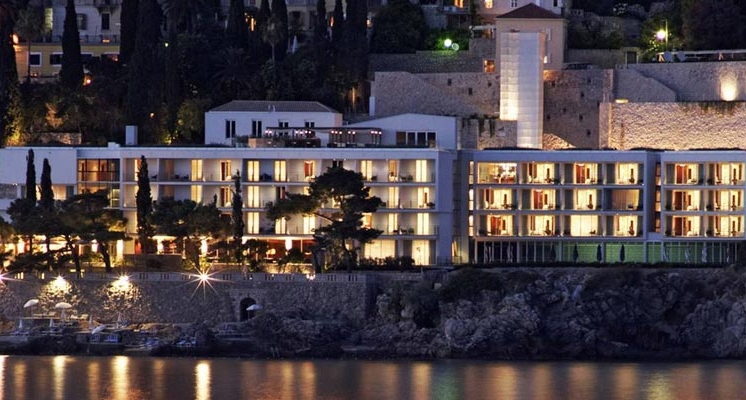 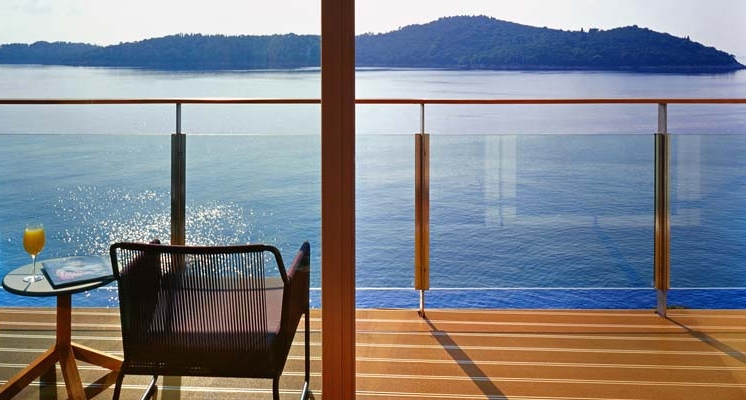 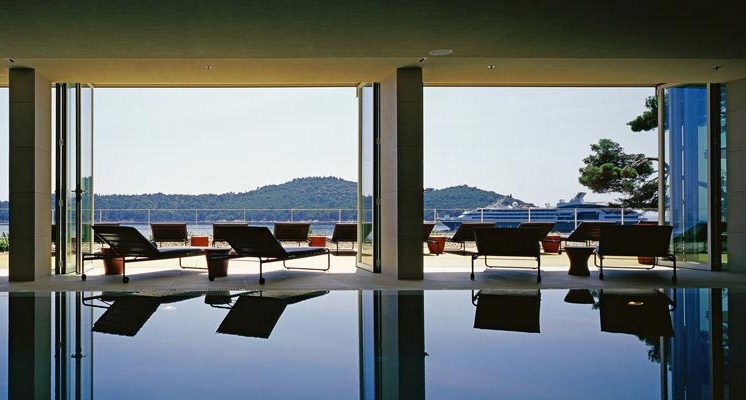 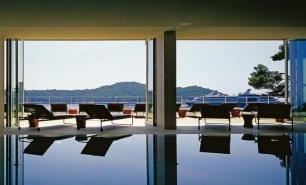 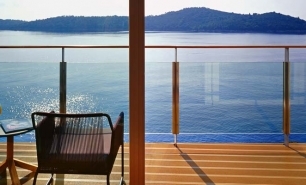 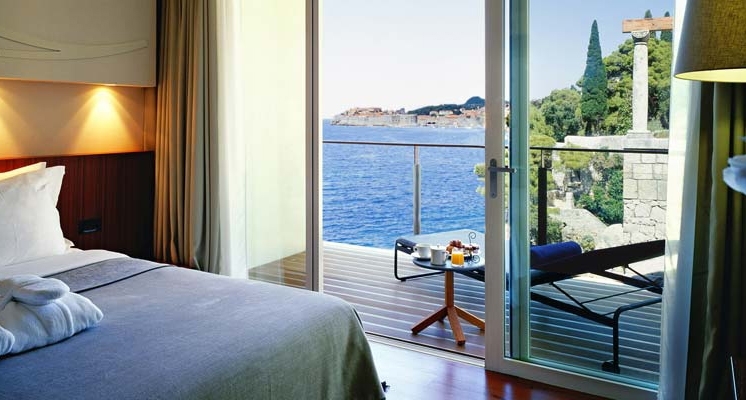 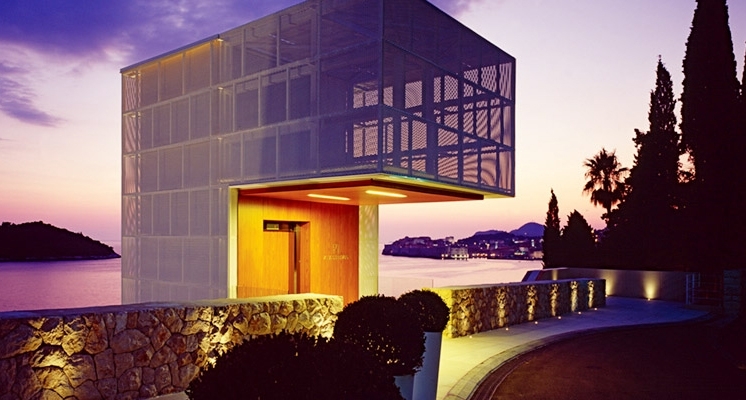 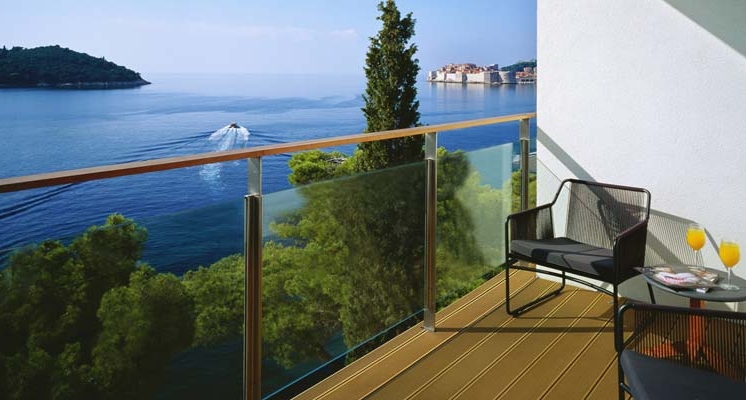 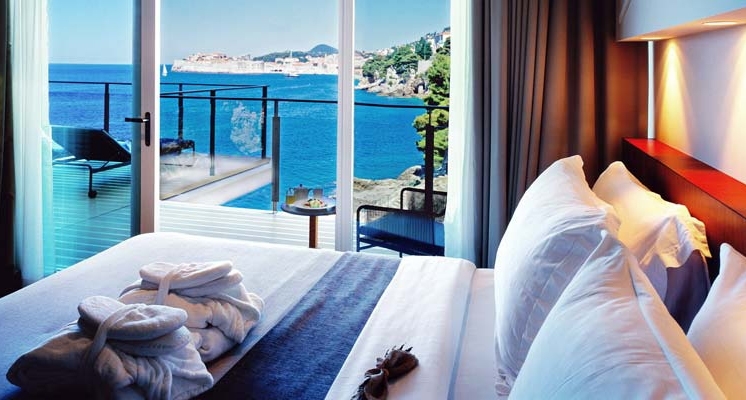 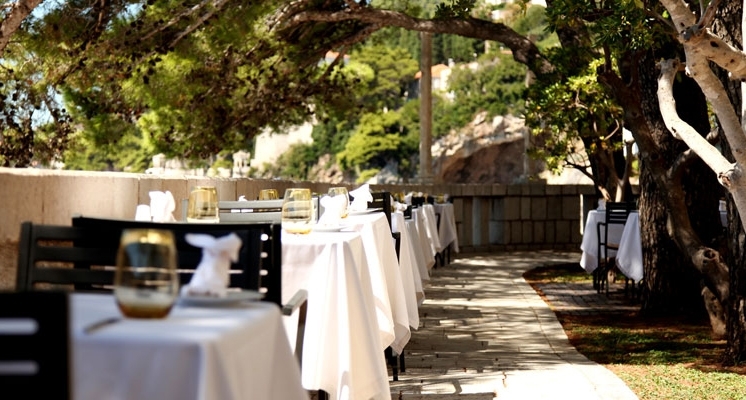 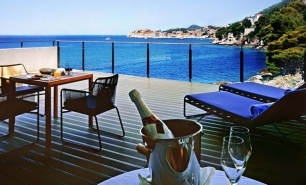 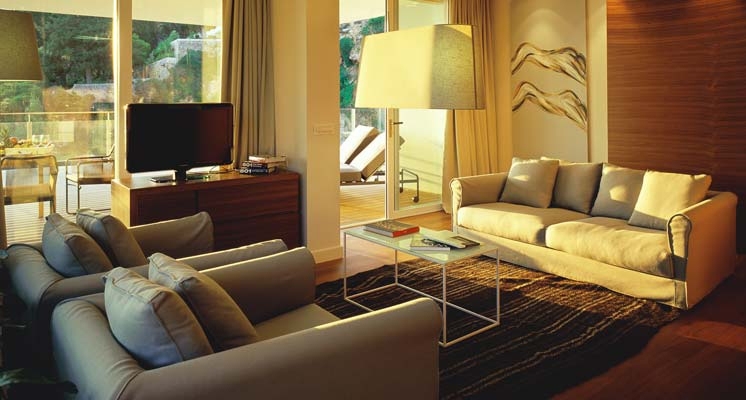 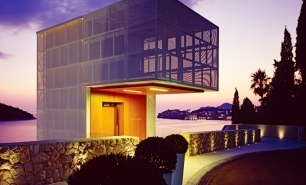 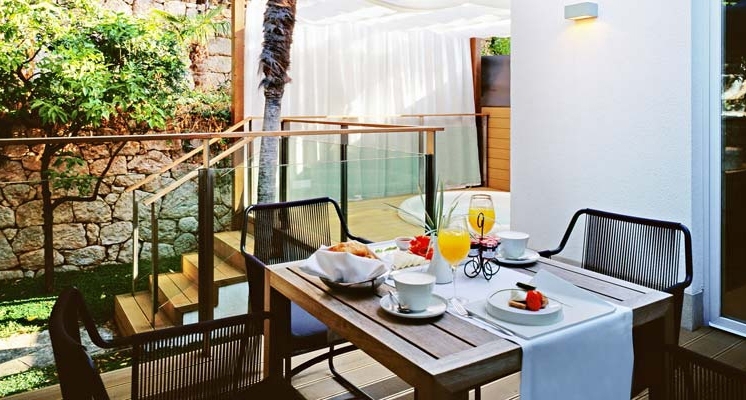 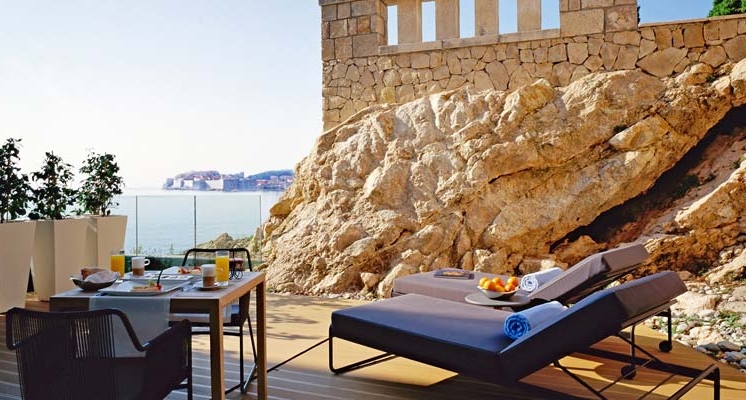 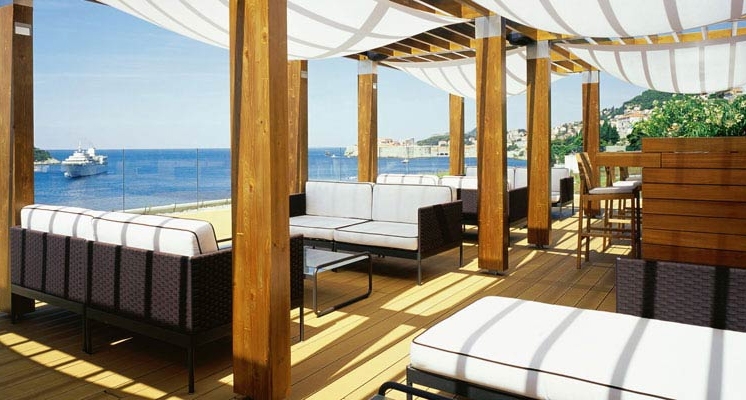 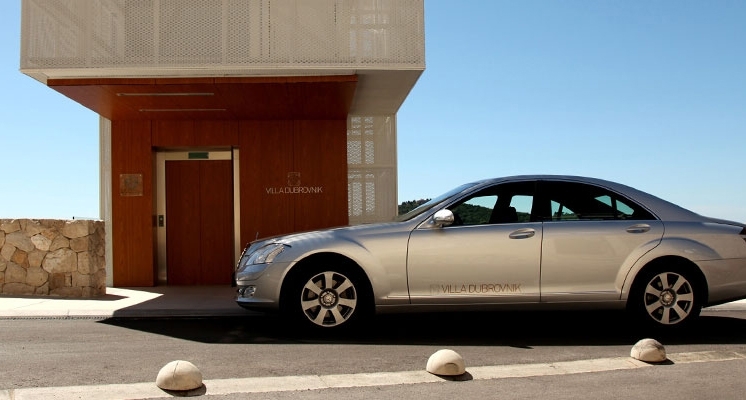 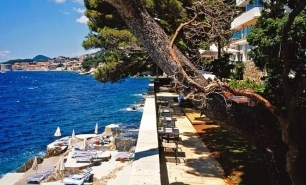 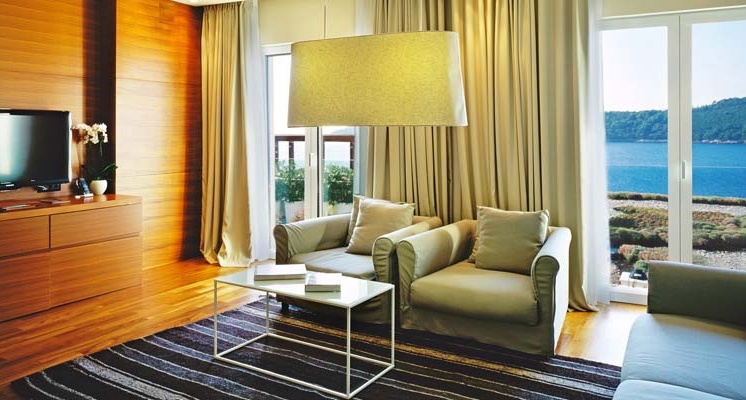 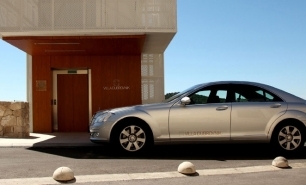 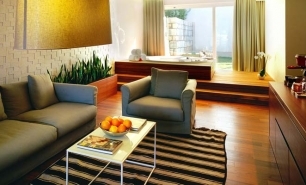 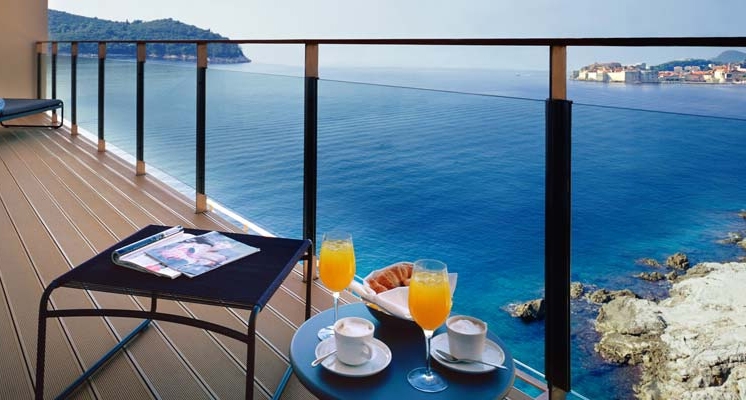 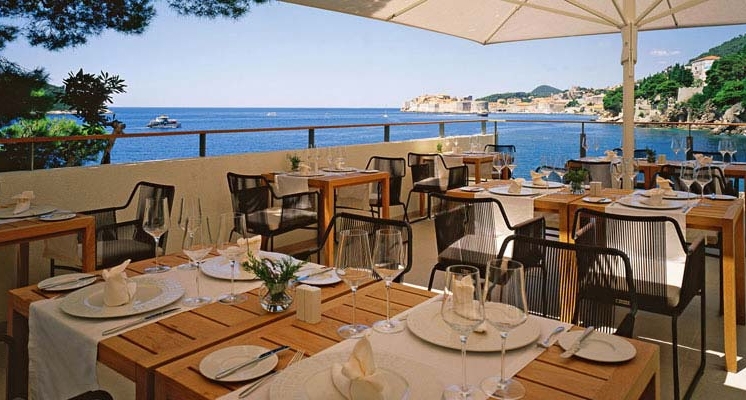 Villa Dubrovnik is a modern luxury hotel overlooking the Adriatic Sea in Dubrovnik. 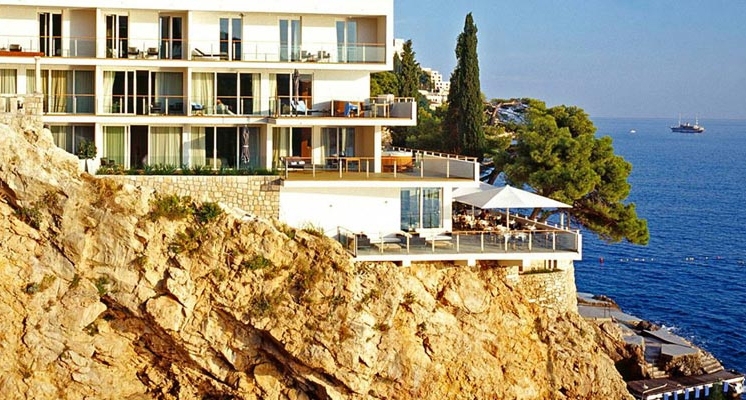 The hotel is housed in a traditional white building with a modernist design and is built into the cliffs. 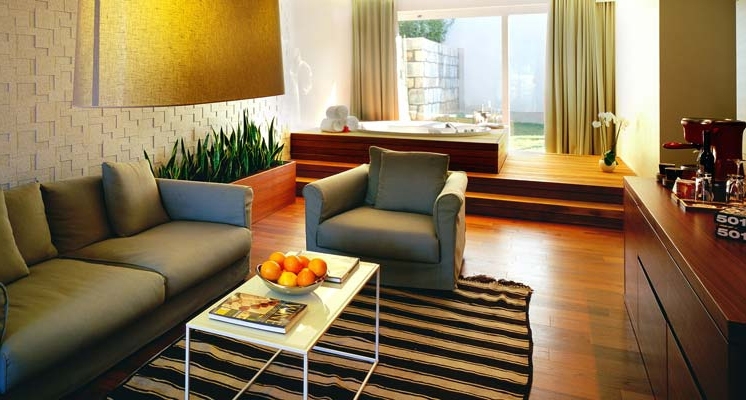 The interior spaces are light and airy while the ambience manages to be both sophisticated and relaxed. 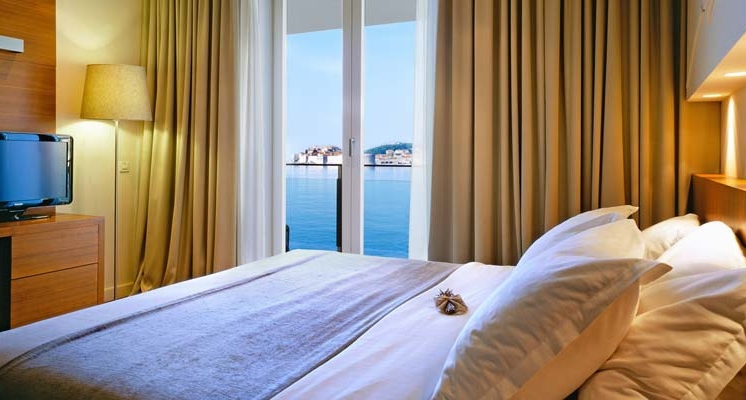 The hotel is within 15-minutes walk of the fortified Old Town, a UNESCO World Heritage Site. 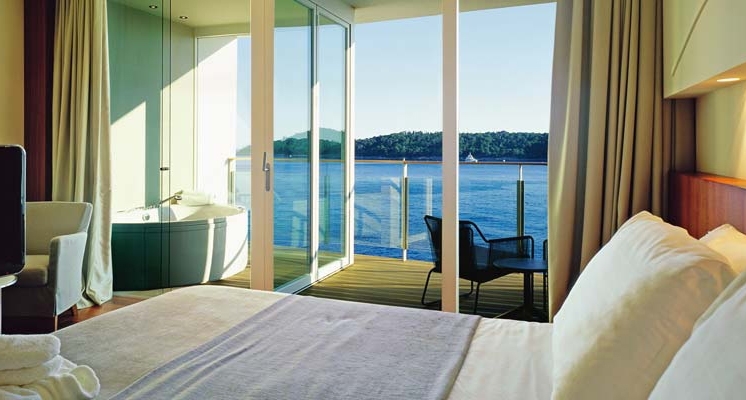 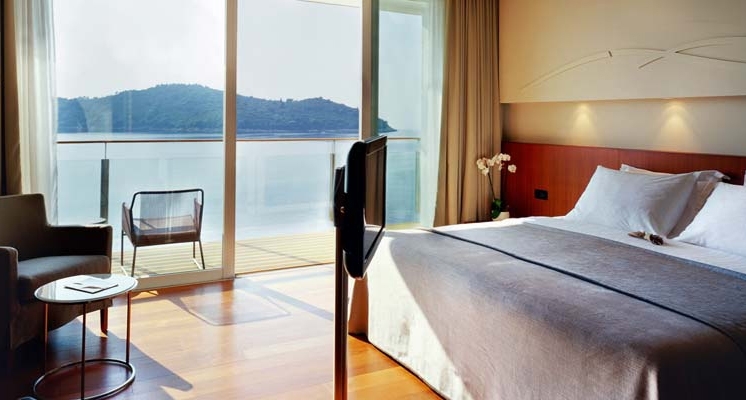 The 50 rooms and six spacious suites have minimalist furnishings and floor-to-ceiling windows opening onto balconies or private terraces with views of Lokrum Island, Dobrovnik and the sea. 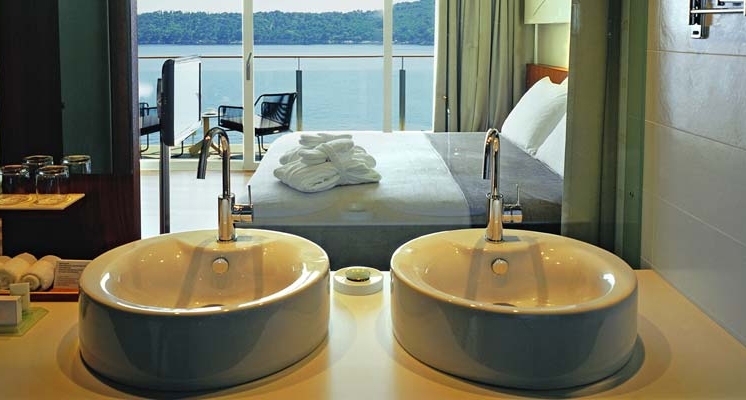 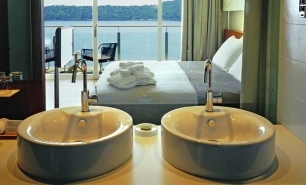 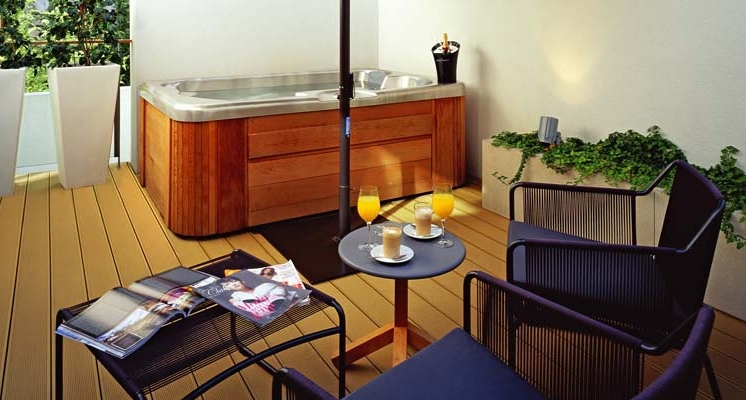 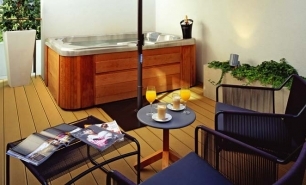 Some rooms also have private indoor or outdoor Jacuzzis. 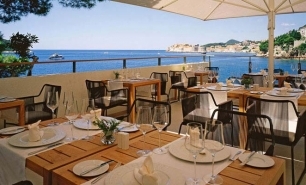 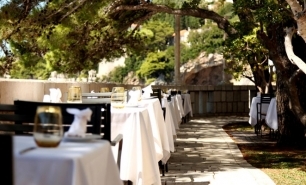 There are 2 restaurants with sea views, including Restaurant Pjerin, which offers fine Mediterranean cuisine indoors or on the sea-view terrace, and the informal Al Fresco Bar Giardino, which is open for lunches and offers light seasonal Mediterranean fare. 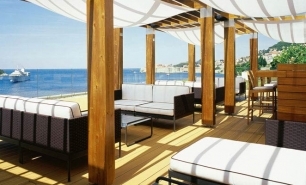 The open-air, rooftop Sky Bar is an excellent venue for evening cocktails and enjoys stunning views of Dubrovnik. 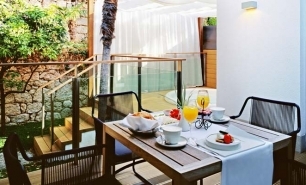 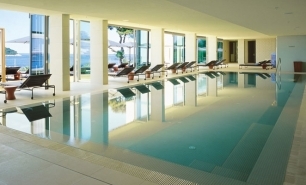 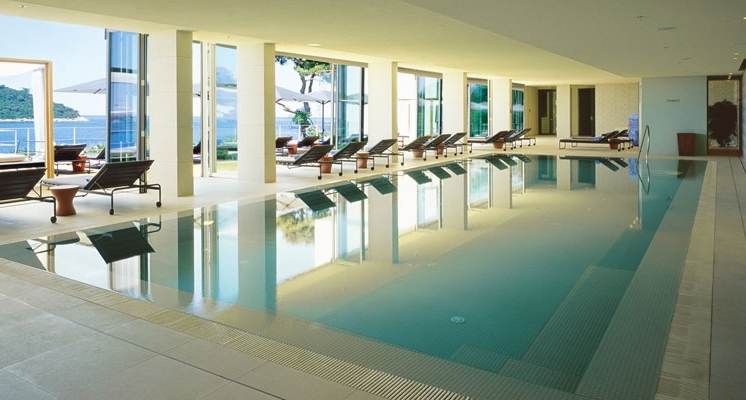 The Villa Spa has treatment rooms, a sauna, Jacuzzi, gym and a sea-view indoor pool. 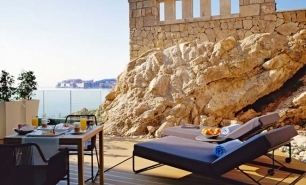 The hotel’s compact beach consists of a series of cleverly designed concrete terraces built into the rocks, each of which is furnished with sun beds and umbrellas.